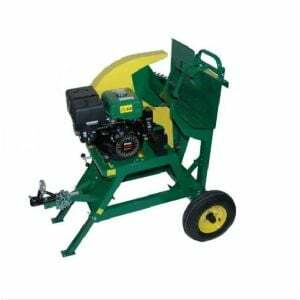 It is a necessity in any yard and makes cutting logs a breeze. 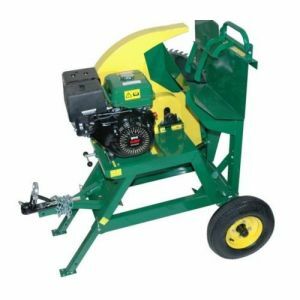 RELIABLE & SMOOTH OPERATION - It features a belt drive mechanism for easy maintenance and a reliable 13hp engine to cut through the hardest of woods. This particular motor has been a staple in the Millers Falls range and continues to prove it is a contender in the small engine market. ERGONOMIC DESIGN - It comes with a log clamping device that enables operation of the log saw with little effort and less strain on the arms. It also features large solid wheels and handle for easy transportation to the work site. 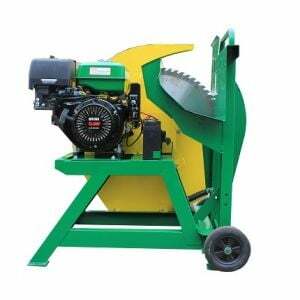 DURABLITY - The durable steel construction has an enamel finish to extent the life of the machine and can handle any volume of firewood. The high-grade blades are designed for more power and a longer service life. We offer a wide range of Wood Log Saw, including Pull Start, Electric Start, Towable & Non-towable models. Checkout our online store for more details. Log fix device on log saw (see image). Important - Delivery: Please ensure that a forklift or tractor with forks is available to unload upon delivery. If you don’t have means to unload, you may be required to pick item up from a designated freight depot. Alternatively a tailgate delivery may be available at an additional cost, please contact seller to confirm.